In conjunction with my year as a NETWORK Associate, I have been living in intentional community at the Anne Montgomery House organized by the Religious of the Sacred Heart (RSCJ). Our community consists of two RSCJ sisters, one RSCJ Associate working at a local university, one woman working at a public policy and research organization, and me. The five of us bring many different gifts to our community. The RSCJs have guided us in prayer and reflection each morning and night, we all take turns making communal meals and sharing stories over the dinner table, and we bring our expertise from our work in social justice in the many workshops and community events we’ve held. I knew living in community with Catholic sisters would be a unique opportunity, but I didn’t realize until months after moving in just what a gift I was being offered. The values intentional community cultivates- respect for others, putting others before oneself, and service- are extremely valuable, especially for someone like me in a transitional stage of my life. After undergrad, I moved to Panama to teach English at a university. There, I lived with a multigenerational host family who truly welcomed me as one of their own. Growing up in a military family, I never lived close to my extended family, but in Panama, I was around my host parents’ children, grandchildren, sisters, brothers, and cousins on almost a daily basis. 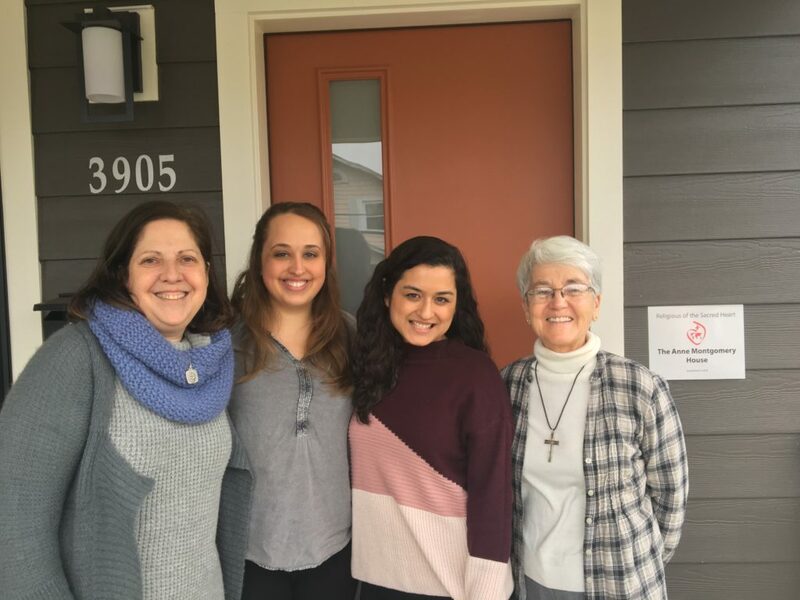 My host family’s commitment to relationships was something I was really missing when I moved back to the States a year later, and that was what I was seeking most when I asked to be a part of Anne Montgomery House. Grassroots Mobilization Associate Erin Sutherland with some of the Anne Montgomery House community. My past few months here have truly been an answer to my prayers and have helped me grow as a woman in my faith. It has been a joy to pray together in the quiet of each morning before I go to work. It has meant the world to know that I have a supportive community who has my back as I go through the graduate school application process. It has been healing to gather around the dinner table, all of us bursting with stories to tell from our days at work or distraught over the latest headline and find rapt conversation partners. Instead of participating in the constant news cycle hysteria, my community members have helped remind me to slow down and turn my energy towards more fulfilling emotions. But living in community is also about the choices one makes every day to live in love. It has been challenging at times to support each other through times apart, sickness, and the busyness of our daily lives. It is only through accepting and committing to each other on both carefree days and difficult ones that we are truly breaking open our hearts to allow the Divine to become the center of our actions. I am so grateful to have been invited to live in community, and for the direction it has provided in living out my faith. This entry was posted in Emerging Justice Seekers, Front Page, Sister Spirit, Spirit Filled Network, Staff on March 12, 2019 by erin. All signs point to the House of Representatives voting on the crucial H.R. 1 “For the People” bill tomorrow. In preparation for this vote, NETWORK sent a letter to all House offices encouraging members of the House to vote for H.R. 1. Follow NETWORK on Twitter and Facebook for more updates on the vote tomorrow! NETWORK also joined a letter of support for H.R. 1 authored by the “Faithful Democracy” coalition, signed by more than 25 faith-based advocates and congregations. Find the interfaith letter here. This entry was posted in Front Page, Policy Update, Voting and Democracy on March 7, 2019 by colleen. Before Congresswoman Ayanna Pressley (MA-07) was sworn into the 116th Congress, we spoke with her about her hopes and expectations for the upcoming session. We look forward to the leadership Representative Pressley and other new members of Congress bring to Capitol Hill to advance policies that mend the gaps in our nation. Connection: What are you looking forward to working on when the new Congress begins? Representative Pressley: I intend to be an activist leader on all issues of consequence to the people I represent. People don’t live in checked boxes, they live in intersectionality, and are impacted by many different policies. During my campaign, I developed—in partnership with community—a wide ranging Equity Agenda, focused on addressing the persistent disparities in Massachusetts’ 7th District. One of the issues I called out was the epidemic of gun violence and trauma—I intend to make that a priority, and have already secured commitments from Democratic leadership to bring common sense gun control to the floor of the House, but I will also be a leader on issues like healthcare, environmental justice, and transportation equity—all of which are critical to my constituents. Connection: How does your faith inspire your work as an elected official? 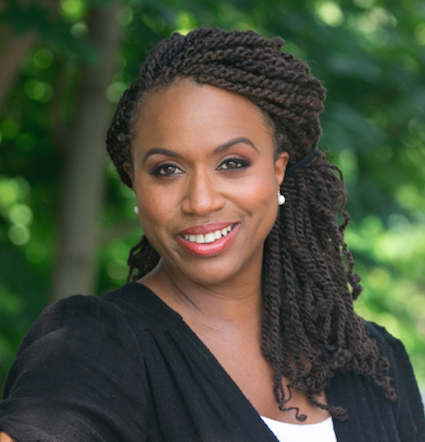 Rep. Pressley: I’m often asked about my political education, and while people tend to focus on the time I spent working for Congressman Joseph P. Kennedy II and Senator John Kerry, the truth is that the values that have informed my work as an elected official first took root as a child, when I attended Rain or Shine Baptist Church in Chicago, where my grandfather, Rev. James Echols, was the pastor. The values of inclusive leadership, empathy, and compassion, which are a through-line of my career in elected office, were first introduced to me in the Church, and I continue to carry them with me today as a woman of abiding faith. Connection: How have you seen policies you’ve promoted in the past positively affect your constituents and our nation? Rep. Pressley: One story that I believe is emblematic: when I ran for the Boston City Council, I ran on a platform of elevating the voices of women and girls. Sitting in my first school budget hearing after I was elected, I asked every department head who came before us how they policies they were proposing would impact girls—their answers were sparse at best. Now, eight years later, those department heads come to our budget hearings with binders full of information on how their policies will affect female students, about teen pregnancy, and push-out, and the school to prison pipeline. This progress only happened because someone asked the question. We must continue to ask the difficult questions that will lead to real progress. Connection: When times are difficult, what keeps you motivated to continue working for the common good? Rep. Pressley: I often begin my days with a verse from a book called The President’s Devotionals, by Joshua DuBois, which helps motivate me during more challenging times. One of my favorite affirmations from this book is entitled “a Gentle Battle.” To paraphrase, it says that each morning we awake to a gentle battle. Of all the negotiations and decisions of our day, this gentle battle is the most important. Will we go in the direction of worry, weariness, and indifference—or in the direction of joy, of peace, of equality and justice? Even through the most difficult times, I remain committed to the latter. Connection: Do you have any advice for advocates inspired by their faith to engage in politics? Rep. Pressley: I would say, simply, “do it”—our Democracy needs your voices. For our government to be truly representative, we need a diversity of passionate, committed voices around the table. If we want to see values like compassion, dignity, and social justice reflected in our public policy, then we need to invest the sweat equity necessary to elect activist leaders and hold them accountable. Change can’t wait, but it also won’t happen on its own; we need to work to create it. This entry was posted in Front Page, Spirit Filled Network, Voting and Democracy on February 27, 2019 by lindsay. 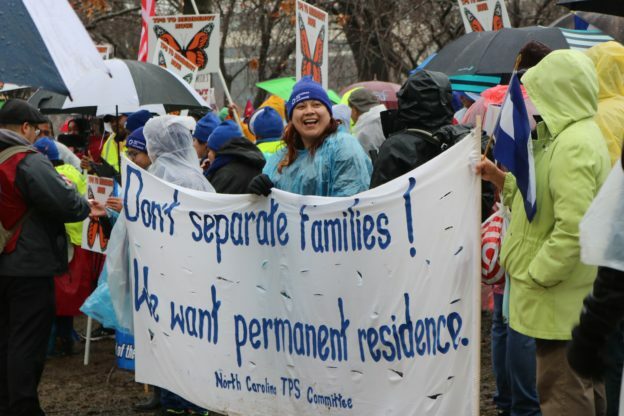 On February 12, Temporary Protected Status (TPS) holders took to the streets of Washington, D.C. demanding Congress to pass legislation that would give them a pathway to citizenship, after the Trump Administration pressured the Department of Homeland Security (DHS) to deny their document renewals. TPS holders who have been in the U.S. for years, some since 1990, all of sudden now face the potential reality of going back to their native countries or becoming undocumented. Temporary Protected Status was first enacted by the Immigration Act of 1990, which reformed our immigration system. One of the many things the bill created was away for foreign nationals who couldn’t legally be defined as refugee or asylee (but without a doubt fleeing, reluctant to return, or unable to return to their home country due to violence) to attain legal status. TPS allowed individuals to be granted work authorization without being deported. The first group to be granted TPS was Salvadoran nationals. As time went on more foreign nationals were granted status and now people from ten countries are eligible to receive TPS. For almost 29 years, TPS holders have been living successfully in the U.S. They have started families and careers, and have contributed to American society, but now are fighting to stay in their new home with the families and lives they’ve created. TPS holders and recipients (also called DREAMers) both find themselves in danger of losing their status and having to leave the U.S., or become undocumented. Like TPS holders, DACA recipients have been living in the U.S. for years and only in the past seven years have they had some form of status that allowed them to work in the U.S. Last Congress, multiple bills were introduced that would have “fixed” the problem the Trump Administration created. Of all the bills introduced, only two bills would have given DACA recipients and TPS holders a pathway to citizenship: the American Promise Act would have given TPS holders a pathway to citizenship and the DREAM Act would have given DACA recipients, as well as some who didn’t fit the age requirement, a pathway to citizenship. This congress is different. Not only do the faces of Congress look different, but so are the bills they’re introducing. Instead of having two separate bills that would give TPS holders and DACA recipients a pathway to citizenship, the house will introduce a single bill that will give both a pathway to citizenship! While the specifics of this bill are not public yet, the bill will pave the way for comprehensive immigration reform. Hopefully, the House Judiciary Committee will soon have a hearing that will allow Members of Congress to know more about the people facing the issue, so that they can then move the bill forward. TPS holders and DACA recipients have always been here, and they’ve always been a part of American society. Sorry to those who just noticed us, but we’re not leaving — because this is home for us. 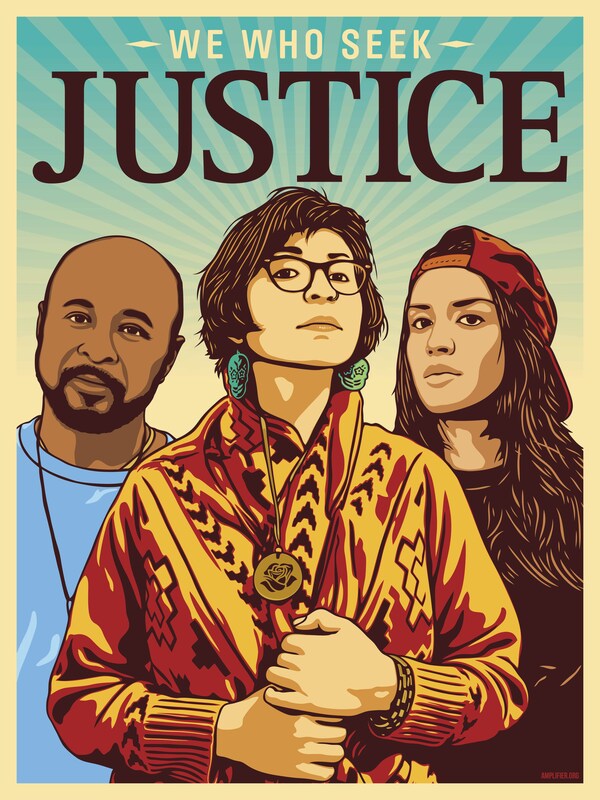 This entry was posted in Emerging Justice Seekers, Front Page, Immigration, Mend the Gap, Policy Update, Racism on February 26, 2019 by jose. 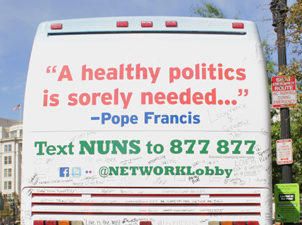 As we traveled more than 5,000 miles on the 2018 Nuns on the Bus trip, I was struck by the fact that at each of our 13 lobby visits (or attempted visits) constituents told us that their member of Congress would not meet with them. The most extreme was Representative Peter Roskam (IL-06) whose office was in a private airport building in West Chicago, Illinois. The building is secured by the Transportation Safety Administration (TSA) and no one could enter the building unless they had been screened by TSA. Additionally, groups could not hold rallies outside the building because it was a “safety issue.” So, this embattled Congressman was protected by TSA while his constituents and our bus had to hold our rally 2 blocks away from the office. I was stunned! This is not democracy! This experience has fueled my New Year’s resolution to make democracy work. There are many new members of Congress and we need to make sure that they have opportunities to meet and listen to their constituents. Members need to hear the stories of the people in their district in order to create effective responses to the challenges that they face. 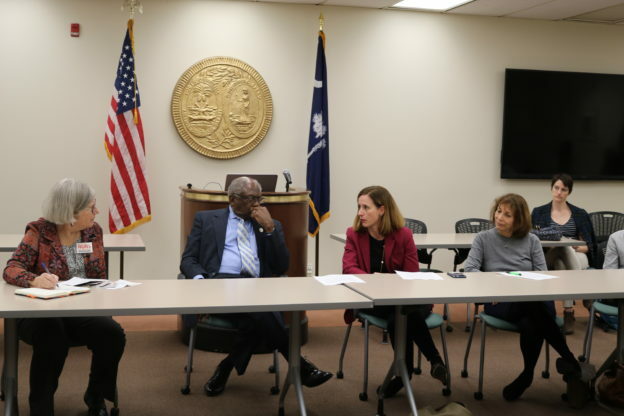 Columbia has the sixth highest eviction rate in the nation and the state of South Carolina needs more than 4,000 new units of affordable housing, but none is being built. Agriculture is the second largest industry in South Carolina and tourism is first. Both industries are highly dependent on immigrants to flourish. Yet exploitation and hostility toward immigrants is all too common. Anti-immigrant policies and attitudes are making it difficult to find employees for both industries. Latino men are attacked frequently. Undocumented people are unable to use banks in South Carolina, so they must make their transactions in cash. This makes them lucrative targets for robbery. The increase in assault is terrifying the undocumented community, but they are afraid to report these crimes for fear of being deported. There is basically no effective public transit for low-wage workers in South Carolina. Transportation is one of the biggest challenges that workers face. Towards the end of the conversation, one of the participants noted that each of the agencies gathered represented is a good “charity” serving a particular need. But in that conversation they saw that the issues were complex and interrelated. She said each organization needed to keep working on their individual issue, but also needed to work systemically to improve the structures of our society. It is by sharing our perspectives and our stories that we can find commonality. 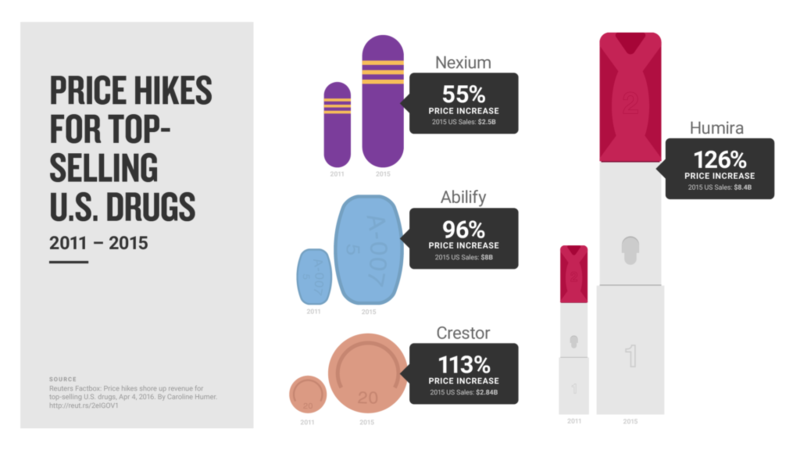 In that shared experience we can see new levels of complexity and perhaps find more effective solutions. This is what we are seeking to do at NETWORK. This year we are continuing our efforts to listen to people around our nation and learn from their experience. We need to understand the lived experience of communities in our nation if we are going to advocate for policies for the 100%. This is our goal for 2019. This entry was posted in Front Page, Mend the Gap, Sister Spirit, Spirit Filled Network, Voting and Democracy on February 23, 2019 by simone. In a commitment to moving towards being an anti-racist, multicultural organization, NETWORK staff is intentionally setting aside time in 2019 to read and discuss Robin DiAngelo’s White Fragility. The book examines structures of race in the modern-day United States, and is an especially pertinent read during Black History Month. As a white woman, DiAngelo challenges systems of whiteness that have led to the racism that permeates our political and societal culture. Though it may manifest itself in different ways, racism is still alive and well today, and impacts countless policies and issues that NETWORK works on in order to mend the gaps in our society. During Black History Month, NETWORK challenges you to examine the way you and the systems around you may unintentionally perpetuate racism. 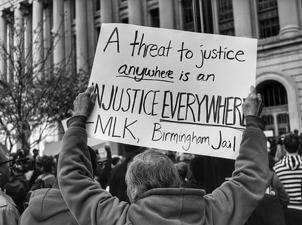 We are trying to be intentional about listening to the experiences of people who are directly impacted by systemic racial injustice, and we encourage you to do the same. This entry was posted in Emerging Justice Seekers, Front Page, Racism on February 21, 2019 by lindsay. 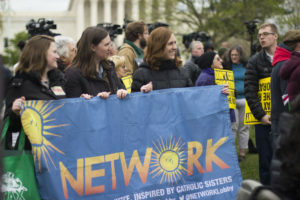 Here at NETWORK as a member of the Grassroots Mobilization team, I have spent the last week excitedly working with our field and our team in preparation for February Recess meetings, which take place while Congress is out of session every February. Before I began my Associate Year at NETWORK, I hadn’t realized the importance of in-district lobby visits, and building relationships with staff who both live and work in my community. Building relationships with in-district staff can help lead to a meeting with your Member of Congress themselves. In these meetings, you can learn about your Member of Congress’s priorities and goals, and how you can work with them in the future. We are all experts in our own lived experience, part of which involves where we live. Our Members of Congress have to split their time between living in our community and living in Washington, D.C., so our expertise and relationships in our community can be very helpful to our Member of Congress. It is important that we share our expertise, and our values, with our Member of Congress’s office. 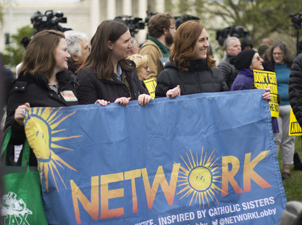 As part of NETWORK’s February Recess preparations, members of our Grassroots Mobilization team and our Government Relations team gave a webinar. Our Grassroots Mobilization team outlined pro tips and best practices for lobbying. Our Government Relations Team then provided a policy briefing. This February Recess, NETWORK members are lobbying on Mend the Gap bills that are moving this session, including HR 1: For the People Act, Raise the Wage Act of 2019 and the Paycheck Fairness Act. If you missed our webinar on how to conduct a lobby visit, you can watch it here. If you set up a February Recess Lobby visit, please feel free to contact the Grassroots Mobilization staff here. We’d love to help you plan your visit and hear how your visit went afterwards! This entry was posted in Emerging Justice Seekers, Front Page, Spirit Filled Network, Voting and Democracy on February 19, 2019 by alannah. 2018 saw the second session of the Republican led 115th Congress, the second year of the Trump administration, and another year of persistent challenges to mending the gaps in our country. As was the case in 2017, the Trump administration continued to cut human needs programs, relentlessly attack immigrant and refugee communities, and double down on tax breaks for the wealthy. The latest Presidential tweet or scandal seemed to dominate news headlines in 2018, often to the detriment of substantive national policy issues. Some Congressional action took place within this context, but much of our legislative success was noticeably absent from news coverage. There is some good news to report this year: in the Senate, there was true bipartisan partnership on a number of our key legislative priorities. In contrast to 2017, Republicans in both chambers decided not to use budget reconciliation to allow the Senate to pass a bill on a simple majority vote, so cooperation was essential. Some bipartisan relationships formed quickly to tackle emergencies like the opioid crisis, others had been going on for years and finally resulted in steps toward meaningful change on criminal justice reform. 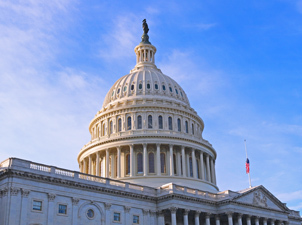 In instances such as the Farm Bill and many appropriations bills, the elected officials who lead key committees agreed to take the most controversial proposals off the table in order to pass needed legislation. We are grateful for this measured leadership and believe it should be the model for how Congress works. House Republicans took a different approach to their work this year. The Republican caucus was deeply fractured between moderate Republicans and tea party conservatives. Under Speaker Paul Ryan, Republican leadership promised that any bill passed in the House must be supported by a majority of Republicans. As a result, their legislation largely reflected conservative tea party priorities. Moderate House members supported these bills, often recognizing that the worst proposals would be removed by the Senate. They believed this political posturing would satisfy their voters. These member of Congress were wrong. They failed to understand how their votes would impact their political support at home. At the end of the day, many of these elected officials suffered defeat in the midterm elections because of their support for controversial bills on issues such as healthcare and taxes. 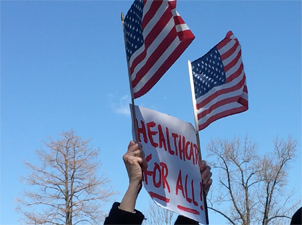 The 2018 election showed that voters want their elected officials to protect healthcare, social security, and other federal programs and ensure that the wealthy are paying their fair share of taxes to support these programs. Congressional action on immigration in 2018 deserves its own analysis. As you will see in our voting scorecard, there were significant votes on different immigration policies during 2018, but the reality is that Congress failed to take any meaningful steps to fix the broken immigration system or to protect immigrants who living in the United states. Much of the Congressional action stemmed from the crisis created by the Trump administration’s decision to end DACA in September 2017. Rather than passing the Dream Act to protect DACA recipients from deportation and provide them with a pathway to citizenship, Republicans aligned themselves with the Trump administration to push significant cuts to the legal immigration system and other harsh measures to harm immigrant families. The result has been bittersweet: immigration advocates were able to convince Congress to reject these harmful proposals, but the lives of DACA recipients and their families remain at risk. At the end of a difficult year, there is much that we wish would have turned out differently, but we remain hopeful for another opportunity to work for justice in 2019 with the 116th Congress. Find NETWORK’s 2018 Congressional Voting Record here. This entry was posted in Front Page, Policy Update on February 13, 2019 by laura.